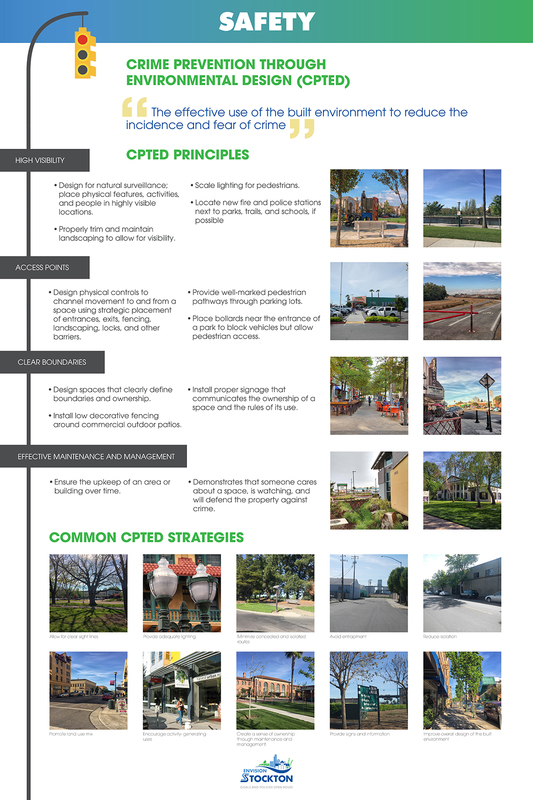 How can the City best achieve these draft goals for the General Plan? Write down your ideas in the comment box below. 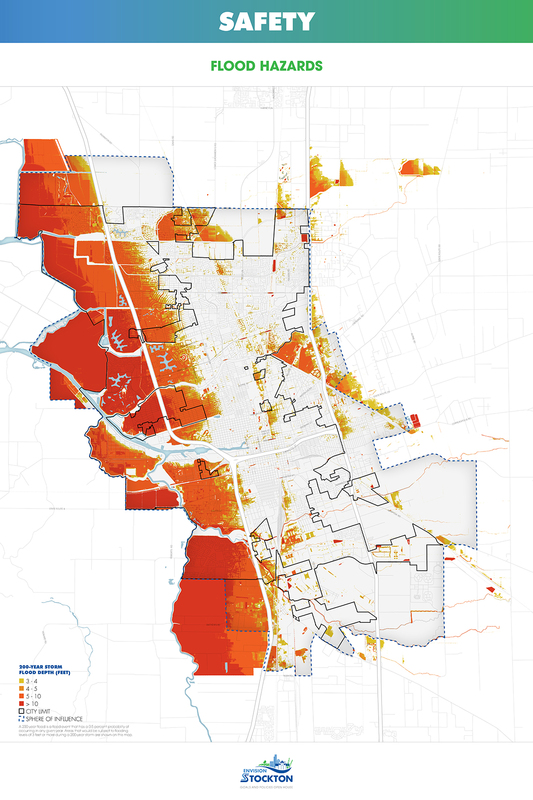 Areas in western Stockton are more susceptible to flooding. Making improvements and adjustments to the built environment can help to reduce the fear and incidence of crime. 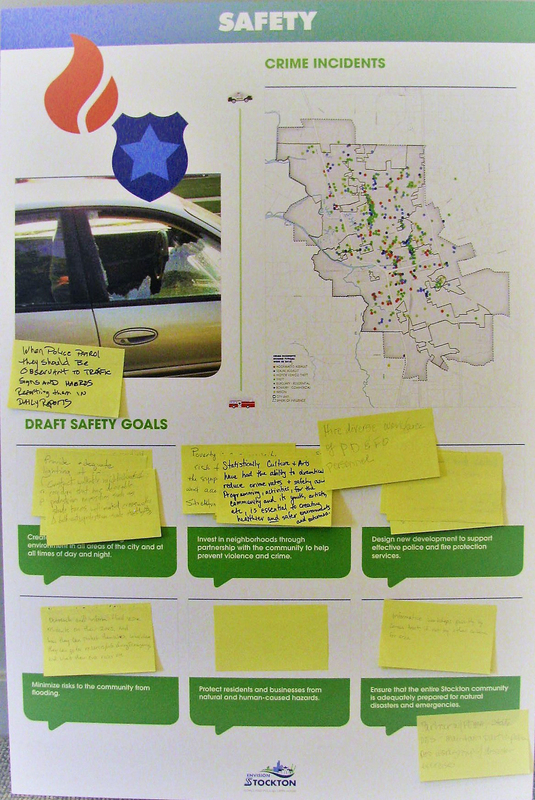 Comments made at the May 1st and 2nd open houses related to safety. Create a safe and welcoming environment in all areas of the city and at all times of day and night. Invest in neighborhoods through partnership with the community to help prevent violence and crime. Design new development to support effective police and fire protection services. Minimize risks to the community from flooding. Protect residents and businesses from natural and human-caused hazards. Ensure that the entire Stockton community is adequately prepared for natural disasters and emergencies. Please Sign Up or Log In to participate. Por favor Regístrese o Inicie Una Nueva Sesión para participar.